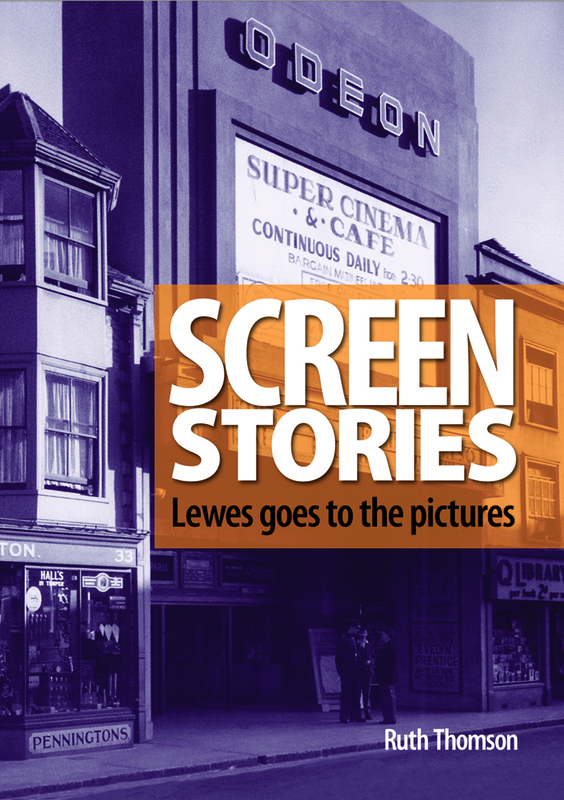 The Lewes History Group’s second book, ‘Screen Stories – Lewes goes to the pictures’ by Ruth Thomson, tells the history of local cinema-going. The book will be published to coincide with the opening of Lewes’s new cinema, the Depot, on 27 May 2017. To accompany the book launch, there’s an exhibition and a short film, ‘Big Screen Memories’, based on local people’s reminiscences; all at the Depot from 27 May – 30 June. The building of the Depot, Lewes’ new community cinema, was the original catalyst for this book. Reel Lewes, a group of Lewes-based film-makers and researchers have spent two years investigating the history of the three previous cinemas in the town: The County Theatre (Watergate Lane), Cinema de Luxe (School Hill) and the Odeon (Cliffe) operated from 1910 to 1971. The team recorded what Lewesians remember about cinema-going in the past. While not intended to be a comprehensive history of Lewes cinemas, Screen Stories (and the film) do vividly bring to life the importance of film and cinema, both in the life of the town and in the lives of its residents. With the aim of producing an enticing and amusing read, it combines photographs, advertisements, film posters, programmes, newspaper articles and architectural plans along with the enthusiastic and enduring memories of the people who frequented these picture palaces. Screen Stories is available to order by printing this order form and sending it with your cheque to the address shown, price £8.99 plus p&p. It will also be on sale at the Lewes History Group’s monthly meetings, and also from the Depot.